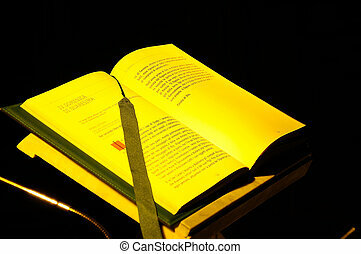 A bible opened and set on a black background. 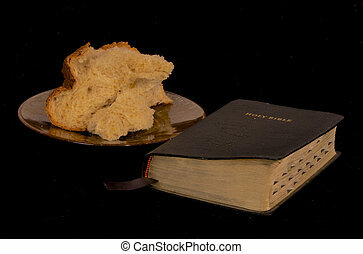 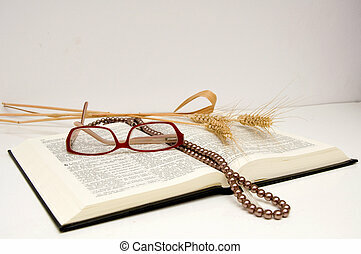 A closed Bible beside a chunk of bread. 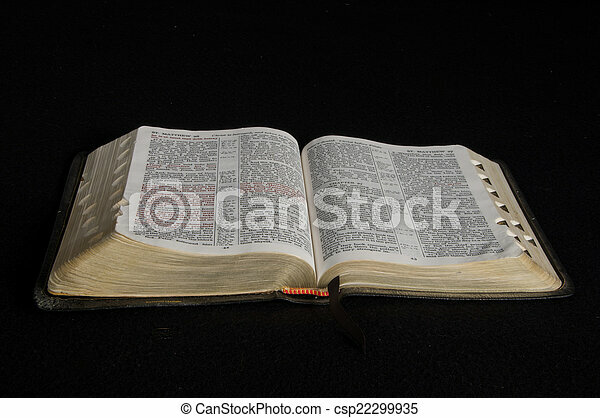 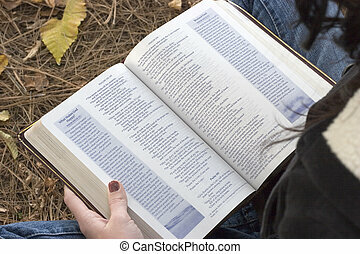 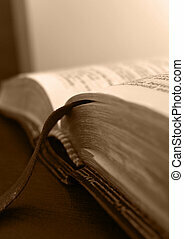 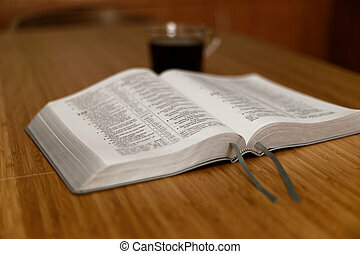 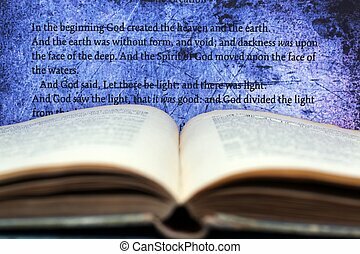 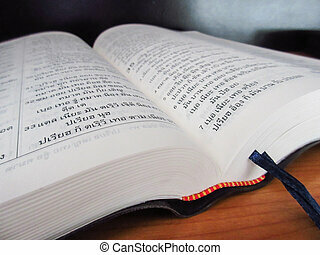 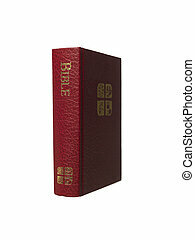 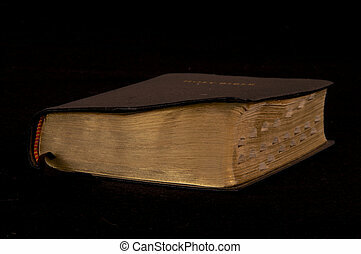 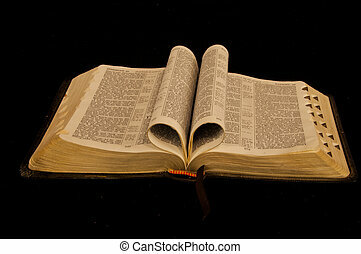 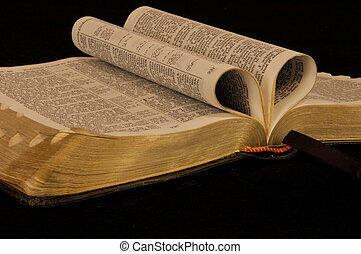 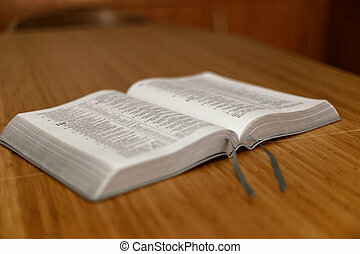 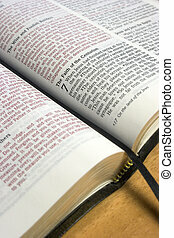 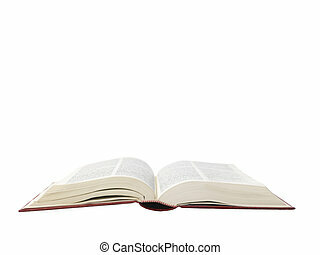 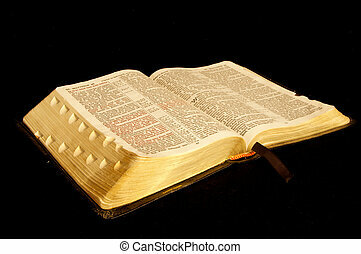 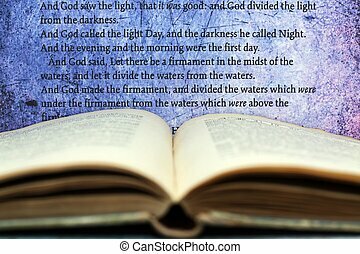 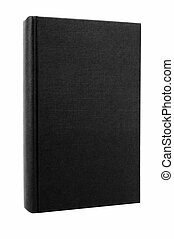 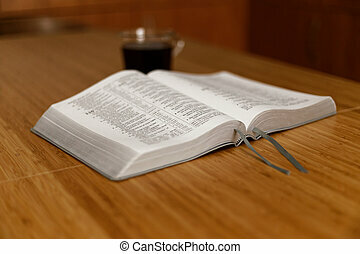 A Bible closed and set on a black background. 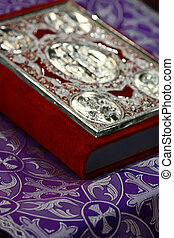 A closeup endive of a Thai Bible. 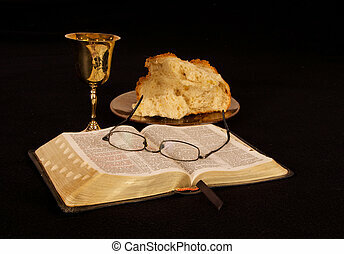 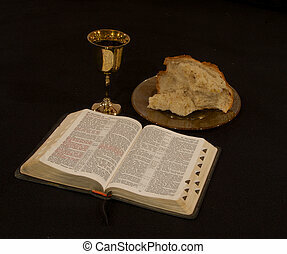 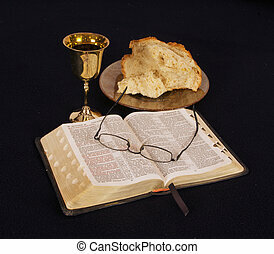 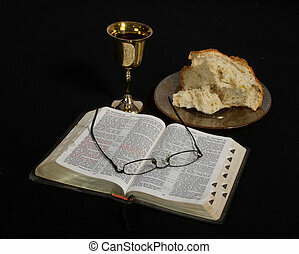 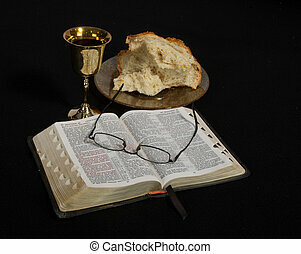 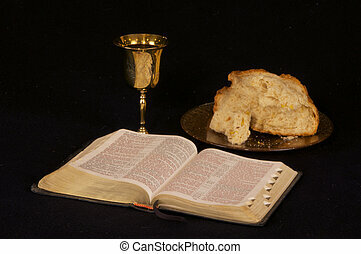 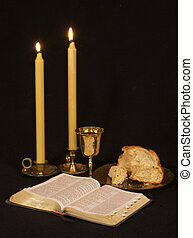 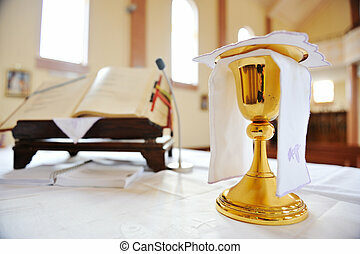 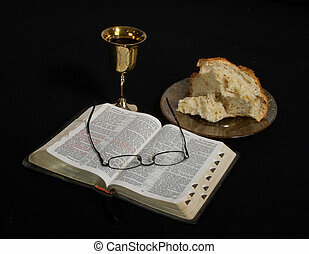 Bread, wine, and the Bible; the elements of communion.